Founded as the Company for the Aid of the Protestants Refugees in 1575. Then the South Sea Expedition Company in 1594, then the Ularien Trading Company in 1608, then the Burgundian Ularien Trading Company in 1705. Immediately following creation of the company, the founders set about making a massive navy to "bring Bergendiian Traid to the Faar Reechs of the Erth and samewise taak frum thos Plases the Divers Sum of Ther Merkantile Stuffs bak to the Ports of Bergendum." With this goal in mind, they set about harvesting the best timber in northern Levantia. Foresters from the Isle of Burgundie, Ultmar, Culfra, Kistan and Kiravia worked for three years to find the best trees. It took another year for the sawyers to mill the trees into enough lumber and an additional year for the sail lofts to complete the yardage. Construction took another six years at specially made dockyards all across northern Levantia and, in 1594, a fleet of 65 bautas primas, 47 gunboats and 133 auxiliary boats (e.g. horse boats, water boats, floating workshops, etc.) were assembled at Vilauristre. The crews consisted of 24,843 personnel and drained many urban centers of the Isle of Burgundie and Ultmar of upwards of 20% of their population. 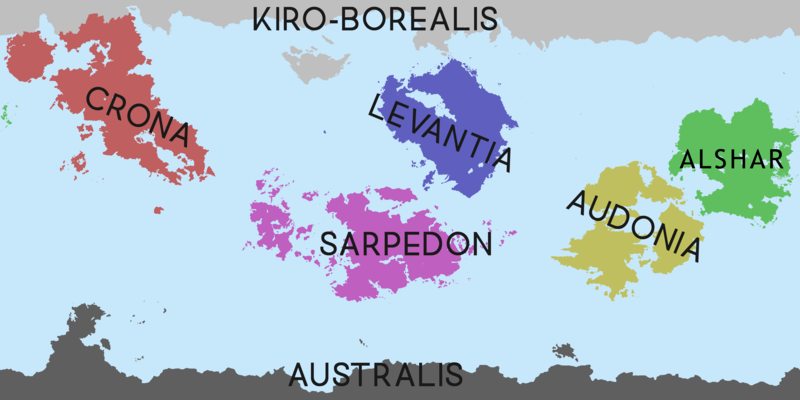 Ausmand Bertrand d'Armangnac was chosen as the Merchantile-Admiral Plenipotentiary and the fleet set off down the eastern coast of Levantia stopping at numerous ports in Culfra, the Latinic states, Aytherion, Faramount, Urcea, then along the islands of Ixnay before heading eastward to Midnapore and Pukhtunkhwa. In many ports, the crew was larger than the entire receiving port city and their need for food and fresh water lead to an enrichment, and sometimes inflation of the economies, of the local ports. After the fleet put Pukhtunkhwa behind it they arrived upon the shores of South Punth in modern Kandara. As part of the Kuhlfrosi rule over Burgundie, starting in the 1450s, the Burgundian merchants and navy men were suppressed to give priority to the merchants and navy of Kuhlfros. Many Burgundians fled the Kuhlfrosi province of Burgundie and started a life entirely at sea. This period was marked by a saturation of Burgundian free-lancers, pirates and privateers. One of those endeavors was the Burgundian West Punth Trading Company. They set upon a course of private sector colonization that spanned from 1587 until 1854 that covered most of South Punth. After being co-opted by the dukes of Burgundie the company financed a massive investment in a centralized government, arts, architecture and literature that has been attributed to the independence movement in Burgundie. During the 17th and early 18th century, the Burgundian West Punth Trading Company was the richest recorded entity in the world. It maintained its own armies, governments, and currency in South Punth and essentially functioned like as a sovereign state. Following a series of droughts locals across the continent began rising up and, when joined by outside forces, namely Akai, the Pukhtun Piracy and Smuggling Network and Vespia, were able to push the Burgundians out of South Punth. Starting in 1611, the colonial militia of Kandoora was formalized into the Company Coastal Guard. The Guard consisted of a professional infantry company, a squadron of professional lancers, three dhows (two of whom had a professional crew, the third was an auxiliary), and approximately 1,000 native irregulars and attendants. The calvary and the irregulars were sent inland the following year and were the spearhead of the colonization effort in Nord Kandoora along with three battalions of armed and organized Protestants, still fleeing from Burgundie in the aftermath of the Great Confessional War. The Nord Kandoora Model Army was formed as a mix of a professional core of elite soldiers fighting for the company, armed colonists (whose service was repaid in a portion of the land conquered), and irregular forces. This concept was the backbone of the Burgundian conquest of South Punth for the next century. It eventually failed as the number of new colonists declined, the expanse of the conquest became immense, and the native troops turned against the professional core. Following the loss of its territories in South Punth, the Burgundian West Punth Trading Company licked its wounds and returned to the newly independent Burgundie. To pay off its debts they sold their remaining trade islands of Ayermer, Levantx, Medimeria and GrofSee to the Government of Burgundie. Since 1838, the Burgundian West Punth Trading Company has been the official Burgundian trading advocate in Audonia and Punth. This page was last edited on 1 February 2019, at 17:55.